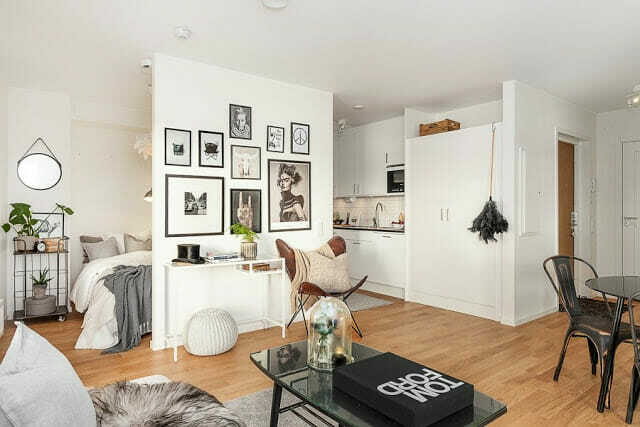 Considering a large number of people are happily making their homes in apartments, creating a functional and beautiful small apartment design shouldn’t be the challenge it often is. If you’re having a hard time making the most of your limited apartment space, you may be happy to hear that there could be more to the problem than just having “too much stuff”. The truth is, it may be the wealth of trendy but not-so-practical apartment living ideas out there that may be the culprit. To simplify things, we’ve put together a list of the basics of apartment decorating. While they may not be new, these tricks are still around for a reason. 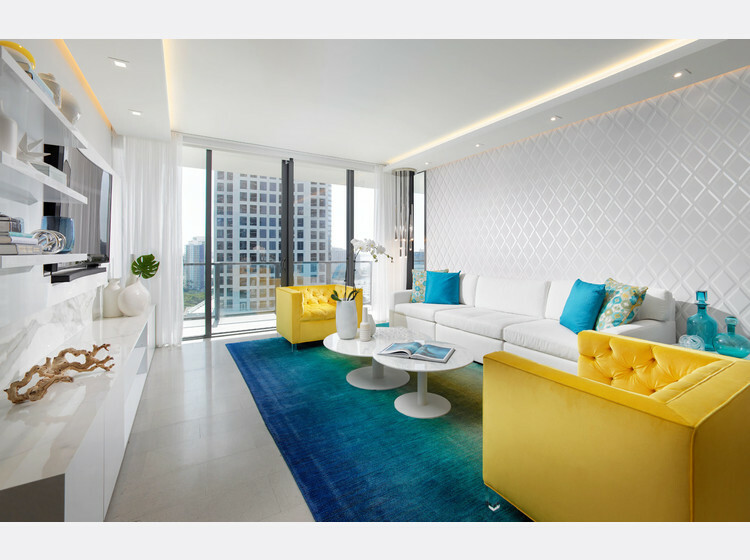 Check out this stunning before and after transformation of this modern apartment to see just how implementing these tips and tricks can make your apartment the perfect place to call home. When decorating a small apartment, especially one with an open concept living room that has to accommodate a small dining room or office as well, it’s prudent to stick to a maximum of two main colors. This does not, however, mean that your decor has to be boring! 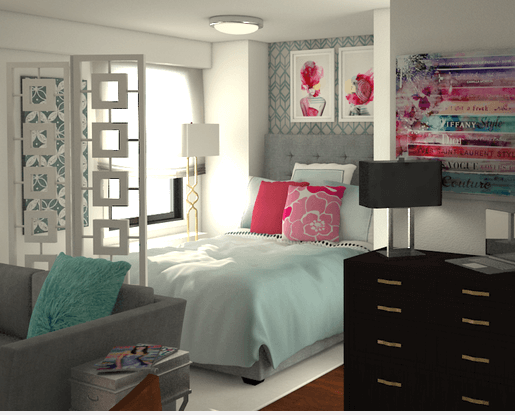 Design by Decorilla online interior designer, Stella P.
Start with the one color you know you want to use in the room. Then use this handy color scheme tool from Sessions College to play around with the schemes to find your other color. 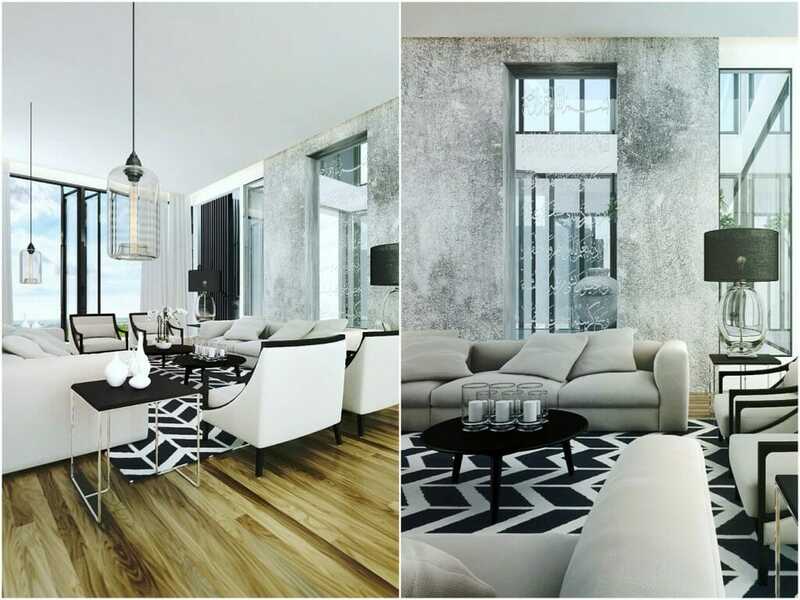 If you have selected a scheme with three colors, soften that color to a neutral by adding grey or white. 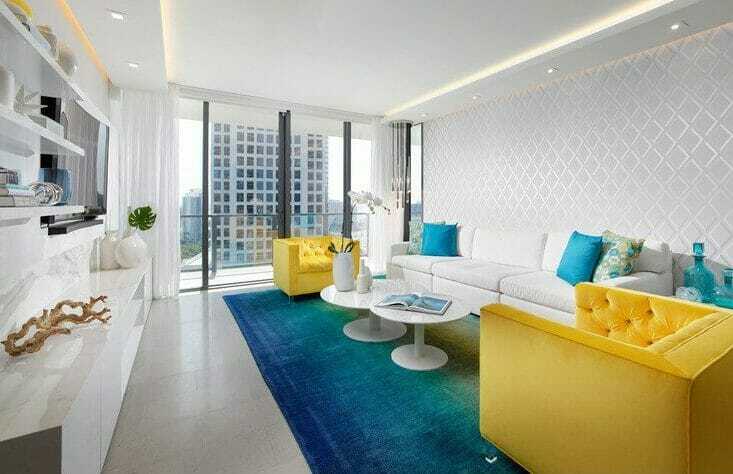 Remember to throw in a multi-colored scatter, painting, rug or textile which will pull your color scheme together. Design by Decorilla online interior designer, Ibrahim H.
No-one needs additional cupboard and surface space more than the apartment decorator. But unfortunately, no-one has less space for an additional TV cabinet or armoire than the apartment decorator. 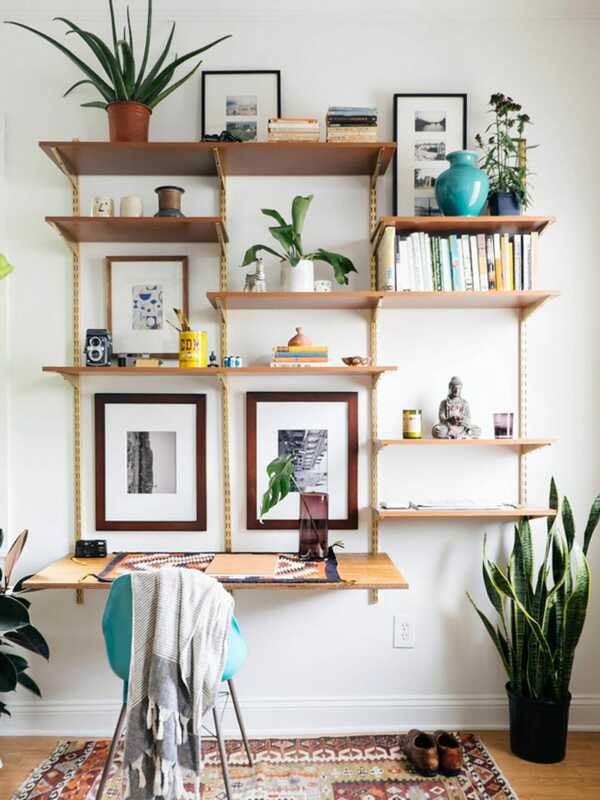 This is where the versatility of shelving comes in. It can be installed where ever there is a little bit of extra wall space. It can even go above doors or on the wall under a windowsill. Installing a few shelves is quick and affordable and yields a lot of additional storage space. 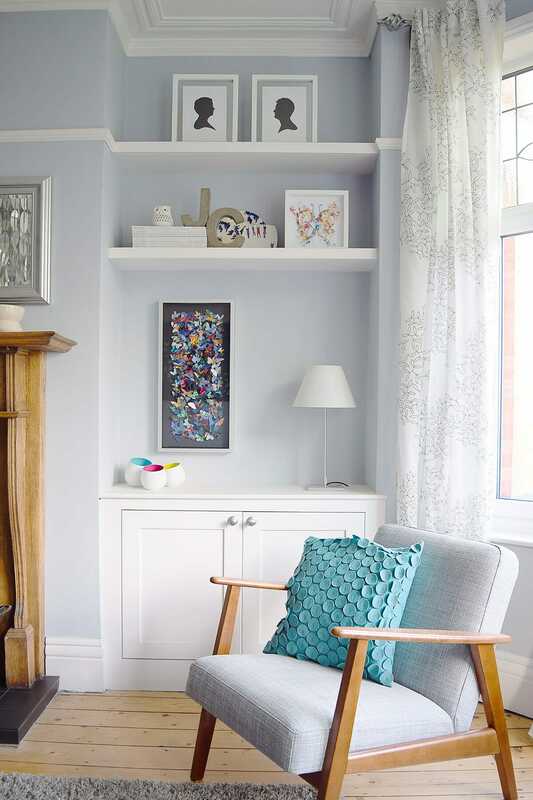 Apart from creating the illusion of a larger room with lots of packing space, it also offers the ideal spot for an ornament or photo frame that won’t fit onto the already appropriately sized small coffee table. Use the shelf as an accent piece by painting either the shelves or the wall behind the shelves in one of your accent colors. Use decorative storage boxes in your open shelving to house odds and ends that don’t look good on display. This is another good place to bring in one of your accent colors. Save some negative space. Keeping a few of the shelves open creates an uncluttered atmosphere where there’s still room to grow. Dark corners can easily make your already small living space appear smaller. Make the best use of the natural light to your disposal by using window shades that let in a lot of light. Sheer fabric or blinds look beautiful pulled up all the way to the top of the window. If the room needs to be dark at night because it’s also a bedroom, roller blinds offer a discreet blackout option when needed. Design by Decorilla online interior designer, Renata G.
Be brave and make your decorative lighting pop. A ceiling light is one of the few places where you can make a big show without worrying about taking up additional floor space, but be sure to keep your fixture proportions in mind. It’s worth investing in a large mirror or two for empty walls. This is an old but worthwhile trick that many people looking for apartment living room ideas may find they have already employed, whether with intent or not. Apart from creating the illusion of more space, mirrors also reflect both natural and artificial, making a room appear brighter. 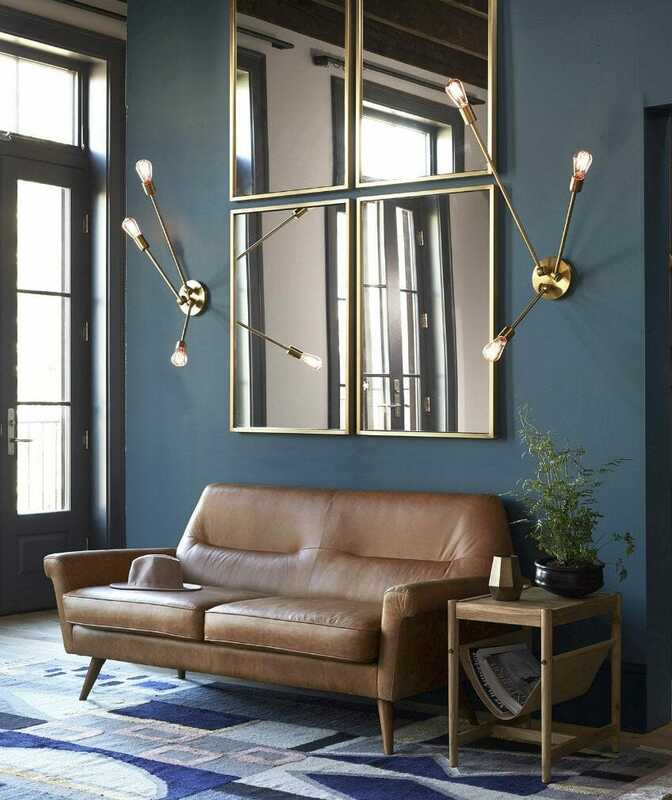 Mirrors are of course also highly decorative in their own right, and you can play with the frame finish to add to your decor. Screens and room dividers are becoming increasingly popular for their versatility and the fun element they can add to a room. Room dividers or screens come in a variety of designs to suit your decor needs. Depending on where and how they are used, they can create a beautiful feature or a subtle background detail. Screens can be completely opaque to create privacy, be semi-transparent or even a frame only to visually demarcate an area. Whatever the design, it sends a clear message that the area behind the screen is private. It’s a piece of classic décor that’s ideal for small apartments and open-plan areas since they are easy to move around as your requirements change. 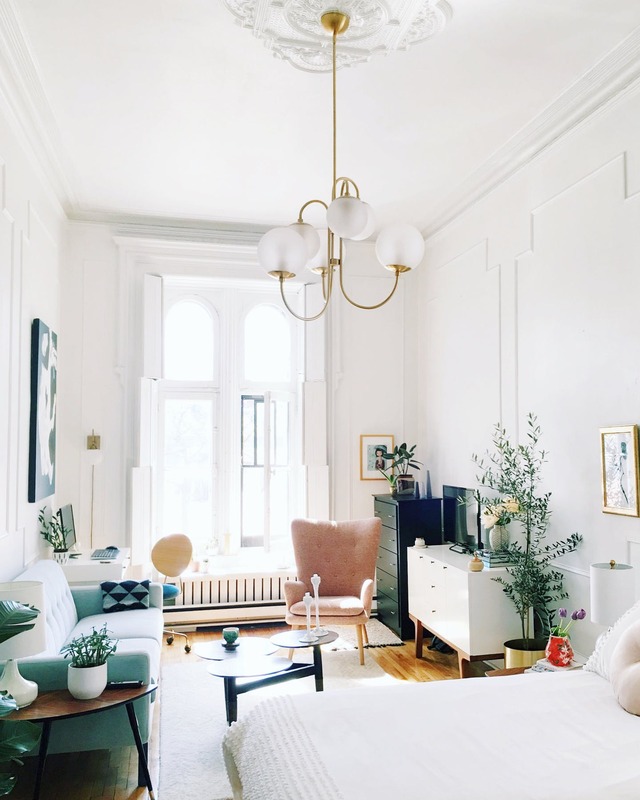 Design by Decorilla online interior designer, Anna T.
Using these five techniques should have you well on your way to decorating your small apartment, but you may find that you still need a little guidance or help with sourcing the perfect pieces for your space. Schedule a free interior design consultation with one of Decorilla’s top interior designers today!